Earn $1.40 in VIP credit (140 points)What's This? The Saguaro is the classic workhorse of the Vittoria MTB line. 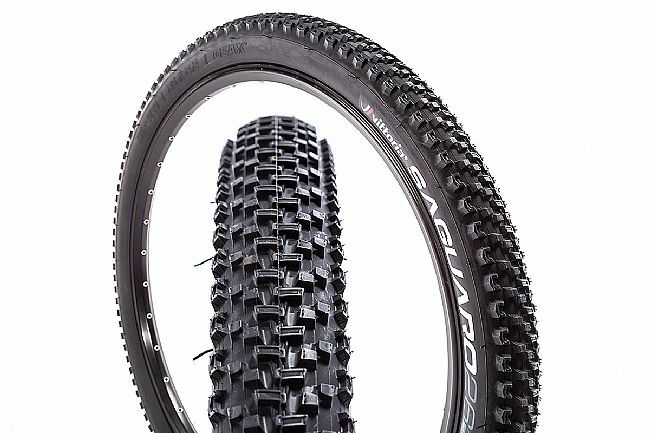 With its proven tread design, stellar durability, and low rolling resistance, the Saguaro is your trusted companion for epic long-haul adventures. By bridging the center ridge, the tread remains supported through it’s useful wear life. The square mid-knobs also feature a bridge for longevity and support. This equates to a rock solid option for all-conditions riding. 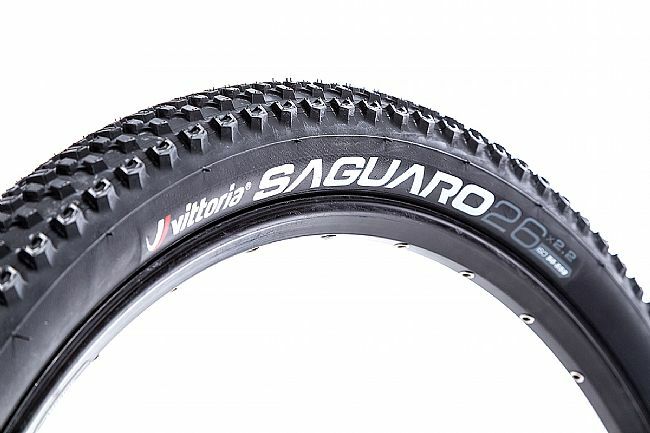 The Vittoria Saguaro 26 Inch MTB Tire is available in one width: 26 x 2.2". Wire bead. 820g. Works good on the desert roads I use to train on ! I bought these to run on my Training bike , an older Gary fisher DS, that I use for building up my climbing speed . the bike is heavy and I dont need high end tires to save weight . they hold up well and the smaller knobs help when I desend in the gravel where I train near home . Great Price , Good quality for the money.